The school had organised an inter house western dance competition for class IX to XII on 22-04-2016 at the school amphitheatre. 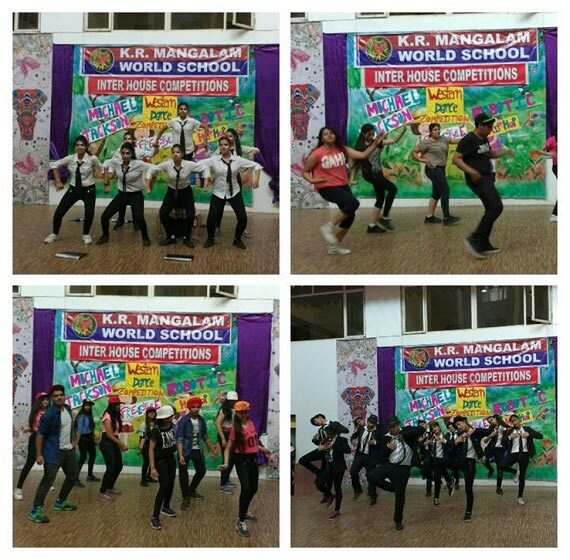 Students had performed on various foot tapping numbers in various styles such as Hip hop, Breaking,Robotics, M.J etc. They were judged on the basic of :- Theme, Expressions, Co-ordination and overall presentation.